Today we had a bunch of apples, way too many to eat. So we decided to make apple crisp and applesauce. Growing up, I remember my mom hand peeling and cutting apples. 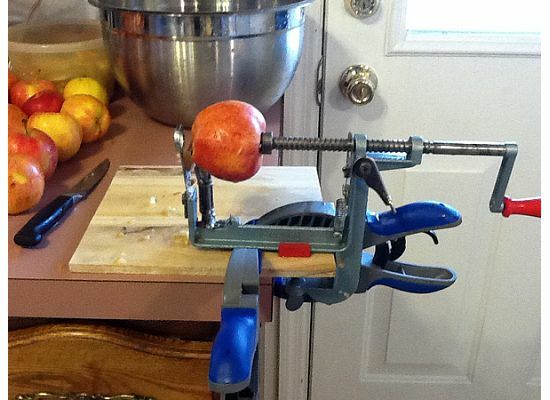 This was the method I was going to use until my wonderful husband reminded me we had an apple peeler/corer from his mom. I think I had used it once before. It was so much faster! The only problem we had, was it did not fit on our counters, so my engineering husband clamped a board onto the counter, then clamped the peeler onto the board. It worked great! 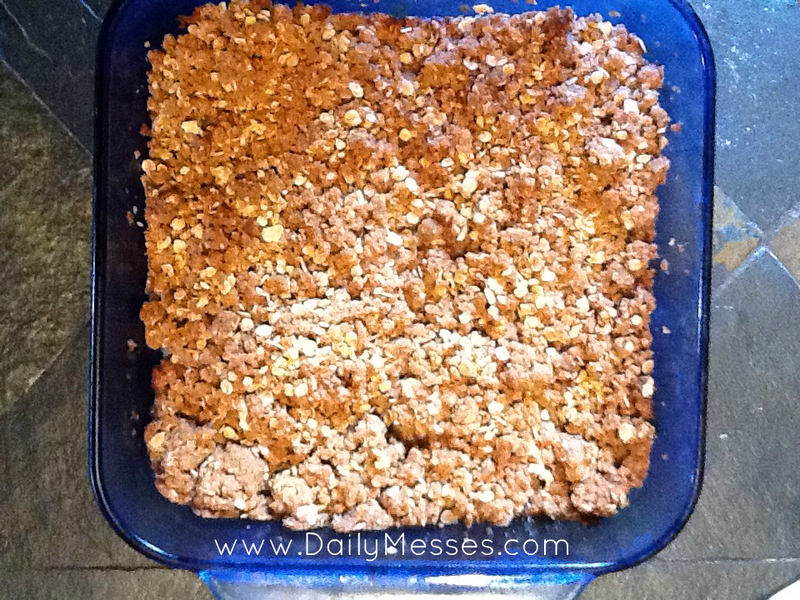 The apple crisp takes about 1 hour (prep and baking), depending on how you prepare the apples. DM Tip: This goes great with vanilla ice cream! Serves 6. 3. Place the apples in the pan in an even layer. 4. Mix the remaining ingredients together and spread over the apples. 5. Bake until apples are tender and the topping is golden brown, about 30 minutes. 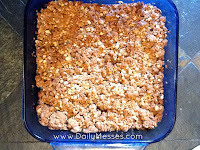 If you make a large batch, you can freeze for later! I used a Ziploc container: fill with applesauce, place a piece of plastic wrap over the applesauce, cover and seal with lid, and freeze. It's great to pull out in the winter and heat up on cold days! This also goes great with vanilla ice cream...doesn't everything! This takes about 30 minutes and serves 6. 1. Place the apples and water in a large saucepan. Heat over medium heat for about 10 minutes. Stir occasionally. 2. Reduce heat and simmer for 5 to 10 minutes. Stir every few minutes to help break up the apples. Cook until tender. 3. Add in the remaining ingredients and stir to mix. Bring the heat up to a boil and cook for 1 minute, while stirring. 5. Enjoy warm, let cool, or freeze for later! This applesauce will be slightly chunky. If you like smoother applesauce, you can run through a food processor, use a potato masher, or try cooking longer.